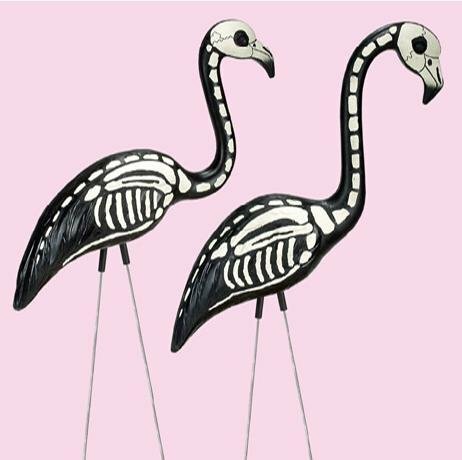 I am a huge fan of plastic flamingos. I currently have six living in the backyard from a party over the summer. That’s why I love these flamingos. They take the familiar friends to a new spooky level.